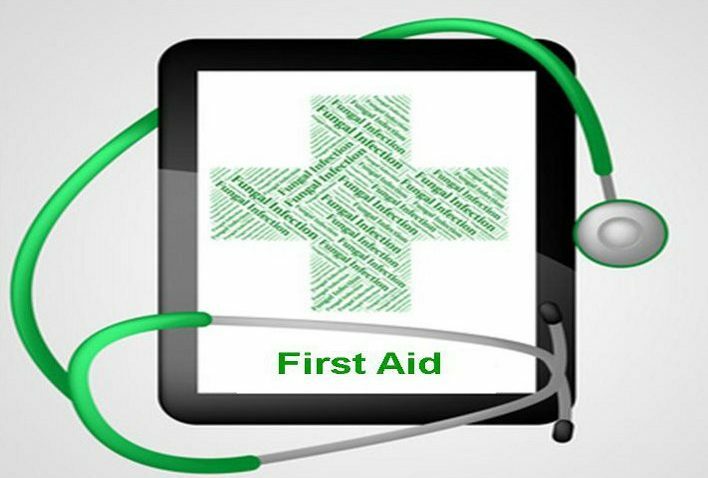 Delivering first aid for dogs is an art that has to be practiced on a regular basis to ensure that you can do the best for your dog as and when it is necessary. There are a variety of ailments and causes that require first aid for dogs, but some of them need specific equipment for effective treatment. 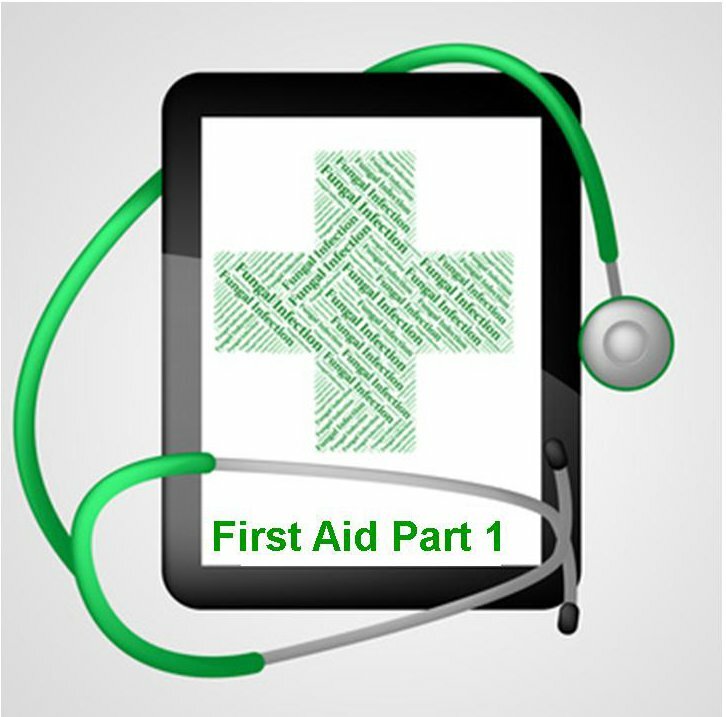 In Part 1 we covered the health aspects and now here are some of the things you should keep handy at all times. 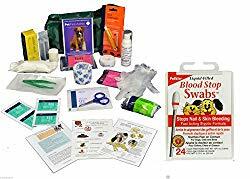 These first aid for dogs items can be used to clean up blood from a cut, a weeping infected area, weeping eyes and any number of other ailments. Gauze sponges are multi-purpose and can be used for almost anything! Antibiotic ointment is a staple of any first aid for dogs kit because it is perhaps the most widely used. Antibiotic ointment can be used on a variety of cuts and scrapes to prevent bacteria getting into an open wound and causing infection at a later date. Dogs are forever getting something in their eyes that they should not, but it is essential to wash your dogs’ eyes. If he does have something in them to prevent infection and potential damage. 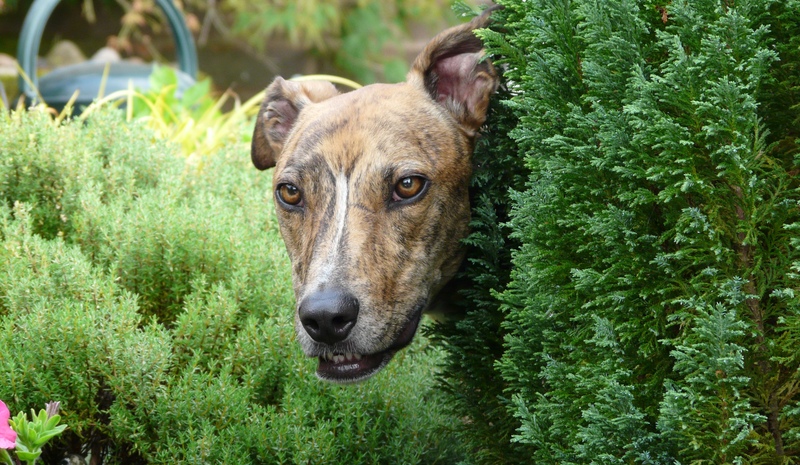 It is for this reason that eyewash is a staple part of any first aid for dogs kit. Any other type will be removed by your dog in seconds. I always carry this as it is impossible to find some when you actually need it. It is available in Blue and Pink and other colours so you can even have a boy or girl colour ( sexist Pig). A few years ago this would have been unheard of but the spread of ticks, in the UK, is now a problem. You will find them small oval shaped objects that vary in size up to the size of a pea.They attach themselves to your dog and possibly to you. Use one of these tools to remove an bath with anti-bac. be sure to turn the tick in a clockwise direction to remove it and try not to leave the head embedded in your pet. 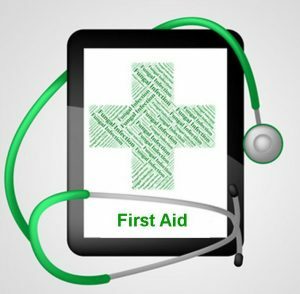 An essential part of any first aid for dogs kit is vaccination records and copies of any health papers you have. This way, you know exactly where they are if you do need to rush your dog to the vet at any given time. If collecting things together sounds like too much hard work there are several kits available at very low prices when you consider the misery they can help to prevent. Here is the five star winning kit from available from amazon. It comes complete with some helpful hints and is an all-round pet first aid kit for cats and dogs. Just click on the image to find out more.